With the world of video and the need for feedback for your swimmers, how much do you need to spend on an underwater filming set up? The first thing you have to keep in mind is, how much set up will I need to film? The greater the demand in set up, the less you’re more than likely to use the system. Chances are, you already have a great camera in your pocket. Combine that great pocket cam (iPhone) with GoSwim Deckshots, and you’re set to safely and securely deliver the best feedback to your swimmers. While I’ve been filming underwater swimming for more than 25 years, we’ve developed the simplest path to getting video to your swimmers. Let’s look at the some options. Our daily set up is the iPhone 6, not the fancy “S”, but just the standard iPhone 6. 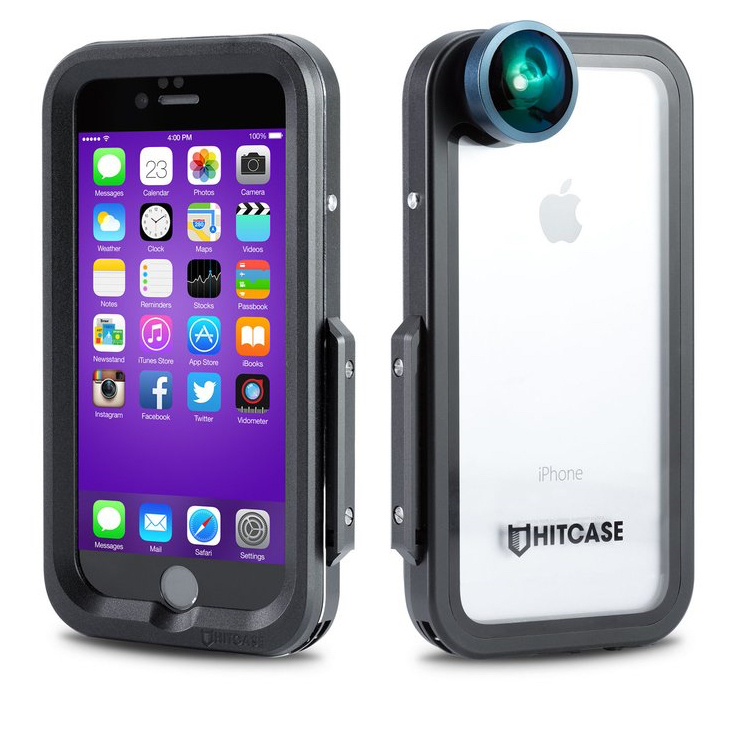 We put the phone in a Hitcase Pro with the wide angle lens. 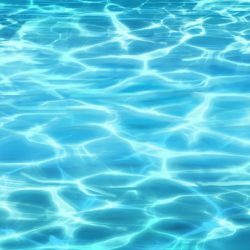 This allows us full body in lane 1 of most pools. The video featured in this post is with the swimmer in the outside lane with no buffer lane against the wall. That just makes it easier. If there was the buffer lane-line, we’d just have to extend the pole and go a bit deeper. Hitcase is currently in development of new cases, and has a Kickstarter campaign going. We’ve ordered some of the new cases but haven’t had a chance to test them yet. My connections at Hitcase tell me they love the new case, and I will too. I trust they know what I use the case for, so I’m looking forward to getting the new one. If you don’t have an iPhone, or if you don’t want to put your current iPhone underwater, what are your options? From least expensive to most, here are a few options. While these may not be the LEAST or MOST expensive options, they’re the ones I trust. At only $125.99, Yi is offering a waterproof camera that shoots at 1080p at 60 fps (frames per second). This is far more than you actually need to film your swimmers, so the quality should be fantastic. For $149.00, GoPro offers it’s tiny Hero Session. This does the 1080 at 60fps that the Yi does, but adds the ability to push the quality a bit higher for 1440p at 30fps. Very good quality, but even though GoPro claims “waterproof”, be careful, the warranty doesn’t cover water damage. I won’t put my GoPro’s underwater without a dedicated case. This new camera offered at $339.98 is one of the highest resolution action cams offered, and with the waterproof case, you’ll get fantastic quality with your underwater filming. The biggest issue you’ll face is file size. These 4k videos at 60fps are going to be SO large, sharing them is going to be an issue, and will take a lot of time. Most cameras like this are overkill for daily feedback, but it’s very cool the quality is pushing so high. The GoPro Hero5 Black is probably a better camera, even though it doesn’t go to 60fps in 4k, but you’re going to pay for it. At $399 on Amazon, budget in another $49 for the waterproof case. Like I said, GoPro states the cameras are waterproof, but I’ve seen leakage without the dedicated case, and the warranty does not cover water damage. It just pushes the budget up a bit more. Don’t forget the pole! We’ve used SO many selfie sticks, and ruined SO many selfie sticks. The most robust one we’ve found is the QuikPod Sport. While it seems a bit more expensive, if you buy something else, you may end up getting a few before this one would wear out. It extends VERY far for pools with high gutters, but just beware, the longer the pole is extended, the more shake you’ll have in the image. Only extend the thinnest part of the pole as much as possible, and you’ll get very nice images just walking down the side of the pool. Combine getting great video with our evaluation program and you can get fantastic feedback for swimmers. With nearly 10,000 evaluations performed in the last two years, we’ve learned the best messages to give to swimmers that their coaches want them to hear. We support coaches, and partner with the coach or team to give a coordinated message. If you’re interested in learning more, email Kyle for more information.